Between being more eco-friendly and cleaning out our closets, we all have a lot of stuff to get rid of. 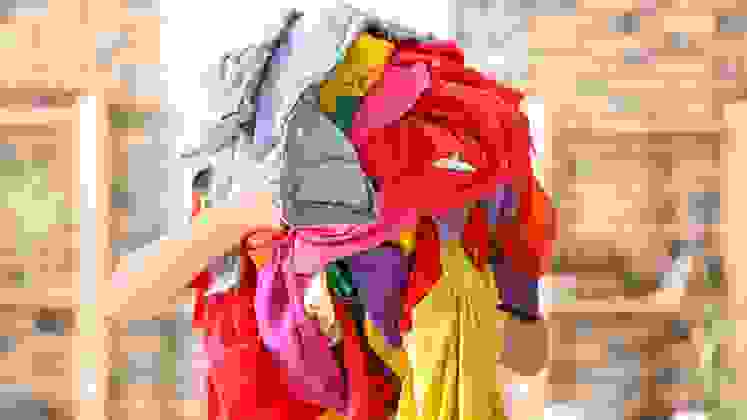 It’s estimated the average American will throw away 81 pounds of clothes this year. That’s just the clothing! It doesn’t take into account the countless other items that end up in landfills—or worse, as litter. For this reason, many retailers have decided to do something about it. We already told you about Madewell’s denim recycling program where shoppers receive $20 in store credit for every pair of jeans they donate. But there are so many other stores that have similar programs. Some retailers are specific about only accepting their own items in return, while others will take all brands. But they all provide shoppers with a bit of an incentive to recycle. From fashion to tech to beauty, below is a list of brands that reward you with a discount if you donate your goods back to them. 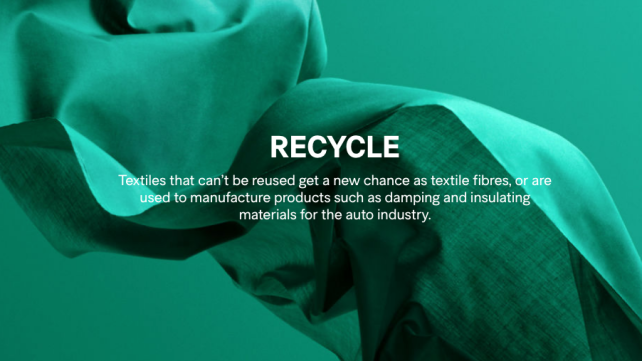 Recycle your worn clothing at H&M for a voucher at any of their stores. H&M will pretty much accept all of your unwanted clothes: any condition, any brand. Their site even states they accept “odd socks, worn-out T-shirts, and old sheets.” So yes, pretty much anything you can think of. Bag up those no-longer-wanted items and drop them off in the collection box, which is usually near the registers. You’ll receive a 15 percent off voucher to be used on your next purchase in store. H&M’s sister brand, & Other Stories, has a similar program. However, instead of receiving 15 percent, you’ll get 10 percent off your next purchase and the discount is valid for three months. Also, & Other Stories has a beauty recycling program, which has been going strong since 2013. When you return at least one of the brand’s empty beauty product containers, you’ll walk away with a 10 percent discount. 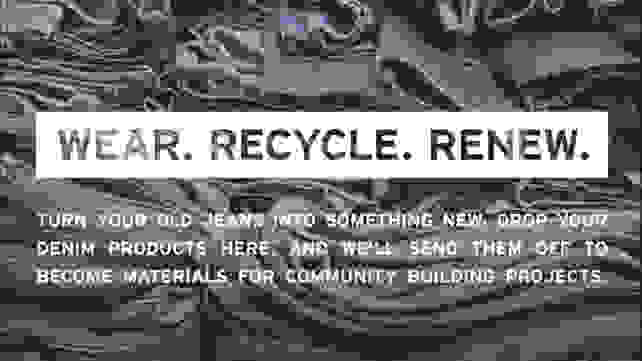 Donate your denim for 20% off at Levi's. As comfy and classic as jeans are, they’re notoriously rough on the environment. It’s estimated to take 1,800 gallons of water to produce a single pair of jeans. Levi’s, the inventor of the classic blue jeans, created an initiative to limit that hard hit to the environment. When you donate your denim jeans or jackets, you’ll receive 20 percent off a single item at Levi’s. Recycling boxes, which are made of repurposed denim, are located in every Levi's retail store and Levi’s Outlet. To date, The North Face has collected more than 95,000 pounds of clothes and shoes. The Clothes the Loop program asks shoppers to drop off their clothing or footwear (any brand, any condition) and receive $10 off your next purchase of $100 or more. Donated items benefit Soles4Souls, a nonprofit that provides sustainable jobs and distributes clothes and shoes around the world. Most retailers provide a flat discount or reward regardless of the number of items you visit. But Eileen Fisher will give you a $5 rewards card per item. Drop of any of the brand’s clothes you no longer love or wear and you’ll receive a credit that can be used in stores or online. The retailer has collected more than 1 million pieces since 2009, which are either resold or used to create new garments. Beauty company Lush is already pretty eco-friendly, thanks to their use of paper bags as well as pots and bottles that are made from 100 percent post-consumer recycled paper and plastic. They keep the "reduce, reuse, recycle" theme going by offering customers a free face mask when they return five clean, empty pots, which are then chipped down and remolded into new pots. Six empties for a new lipstick? Count us in. Are you a makeup lover who has a stash of empty or near-empty MAC lipsticks or blush compacts? Don’t throw them away just yet. 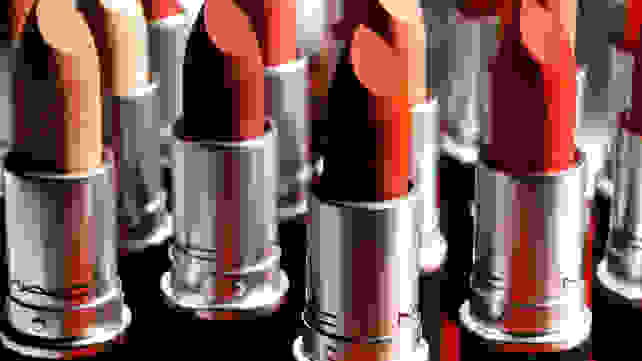 The Back-to-MAC program states when you return six empty packages, you can select a new lipstick shade of your choice for free. These packages can include a blush compact, eyeshadow pot, lipstick or mascara tube, jar of foundation, and more. Turn your empties in at a MAC counter or fill out the form online and mail them in. Target’s tech trade in allows shoppers to send in eligible phones, tablets, video game consoles, and other tech accessories in exchange for a Target gift card. After answering a few questions about the item(s) you’re sending in, you’ll then be quoted a price and can ship the item via a prepaid label. It takes about a week to process before you’ll receive your gift card to the bullseye boutique. 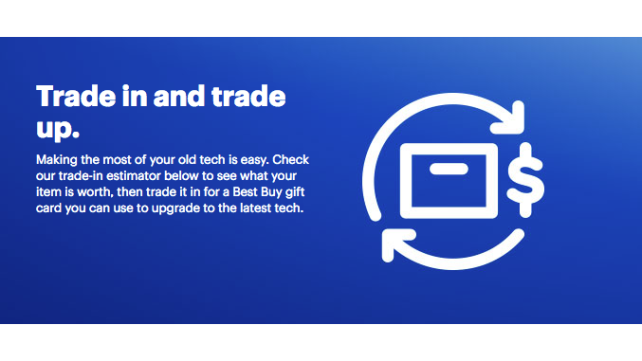 You can trade in your old tech for some cash at Best Buy. Similar to Target’s trade-in, Best Buy also offers a similar program. The company claims to be the nation’s largest retail recycler of used electronics and appliances. Check out their site for popular trade-in items (iPhones, iPads, and smartwatches currently top the list) and an estimate of what your items may be worth, based on the condition, documentation, and/or accessories. Trade-ins can be done in store or online. “Your device could be worth up to $200 or more,” reads the AT&T trade page. It’s not uncommon for people to upgrade phones every year, so you might as well make a bit of cash in the process—or at least a credit in this case. Visit an AT&T location or fill out some info (item, manufacturer, memory capacity) and get an online quote. You’ll receive a credit that can be used toward devices or accessories, and if you’re an AT&T customer, it can even be put toward your monthly bill.